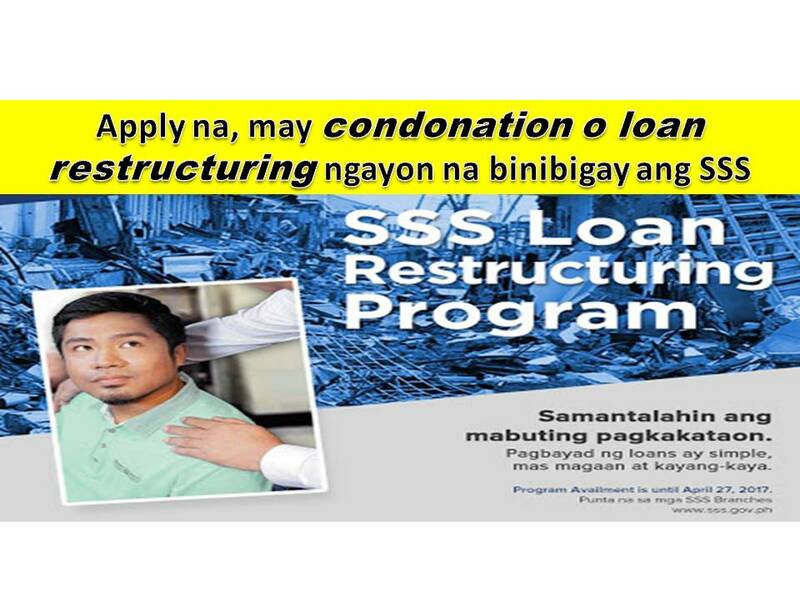 Good news, SSS is currently offering loan restructuring for borrowers who are delinquent and who lives or are working in the calamity areas declared by National Disaster Risk Reduction and Management Council (NDRRMC) or the government. 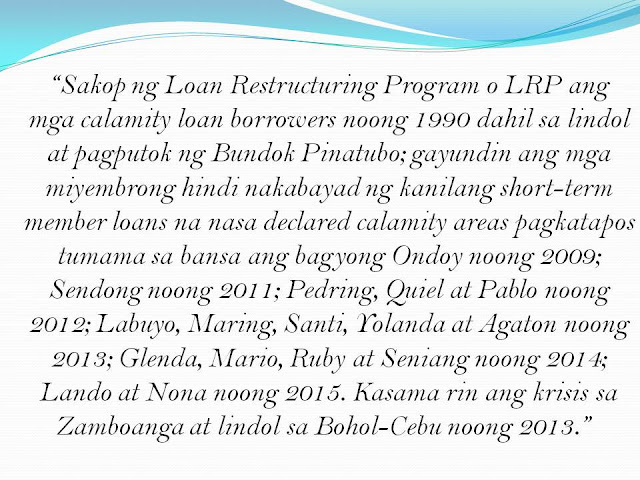 Calamity loan borrowers in 1990 because of the earthquake and eruption of Mt. Pinatubo; members who were not able to pay their short-term loans living in calamity declared areas during typhoon Ondoy in 2009; Sendong in 2011; Pedring, Quiel and Pablo in 2012; Labuyo, Maring, Santi, Yolanda and Agaton in 2013; Glenda, Mario, Ruby and Seniang in 2014; Lando and Nona noong 2015. It also includes the crisis in Zamboanga and the earthquake in Bohon-Cebu in 2013. 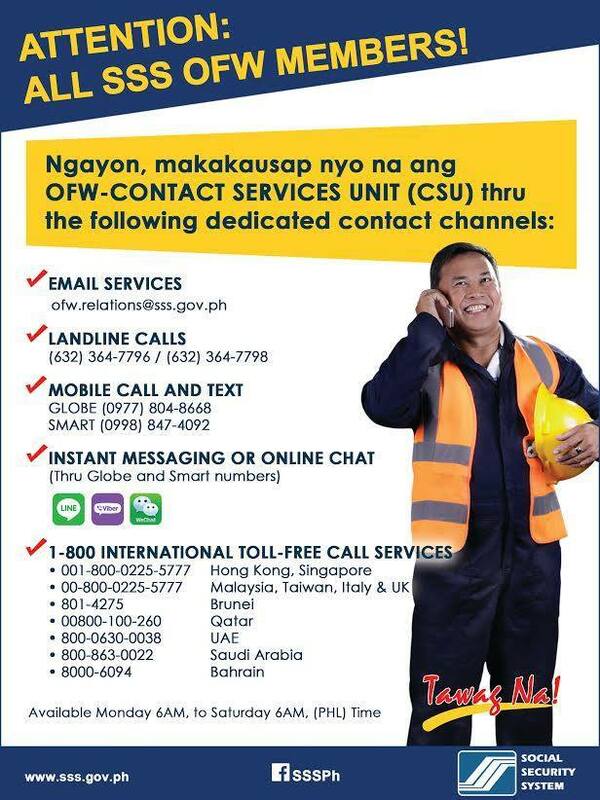 You may also contact your SSS branch to know if you are within the declared calamity area. Al Ajaji Bldg., 1st St. cross King Abdullah St. 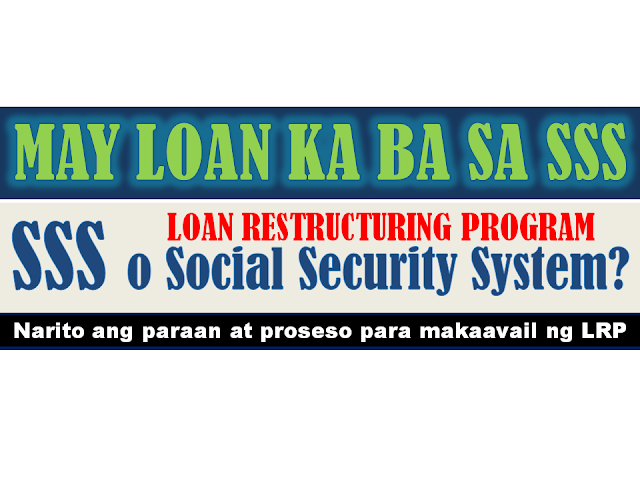 The restructuring program started April 28,2016 and will run until April 27,2017. 1. For installment term, RL1 shall be subject to interest rate of 3% per annum computed on a diminishing principal balance over the applicable payment term. 2. 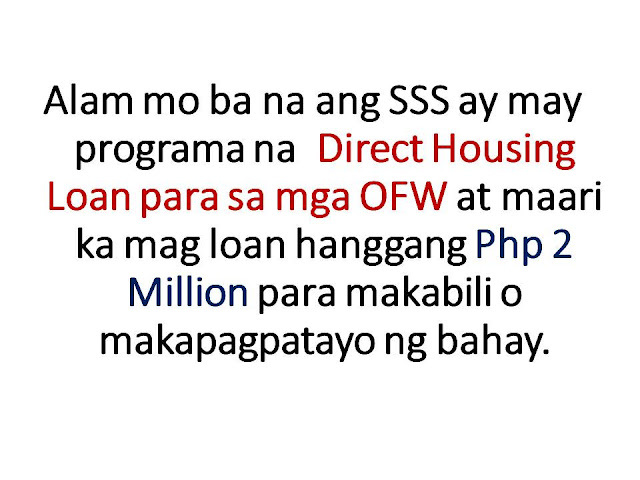 A penalty of 0.5% shall be charged against the amortization due for every month unpaid during RL1 term. 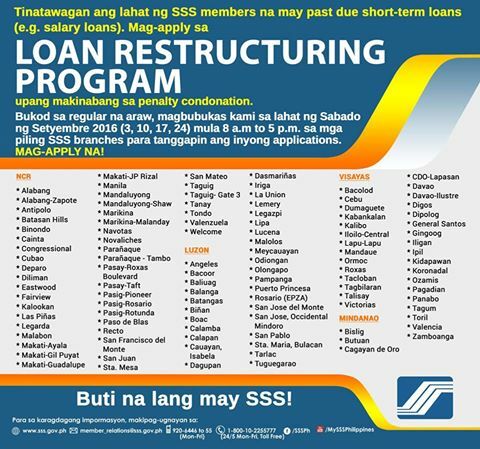 Application for Loan Restructuring is also available online, however some documents may still be needed to be submitted to the SSS branch.